The State of Ease is a resource to help manage stress and tension. Download a free copy of The State of Ease here. The Institute of HeartMath is a not for profit research and education organization. For many years, the Institute of HeartMath has been dedicated to mapping and validating the importance of the heart-mind connection in intuitive development and personal growth. The Institute’s research on stress, intuition and emotional physiology has been published in peer-reviewed scientific journals and presented at numerous scientific conferences worldwide. Tools that the Insitute of HeartMath has developed for stress relief and emotional management are being used by companies, government, the military, hospitals, clinics and schools. 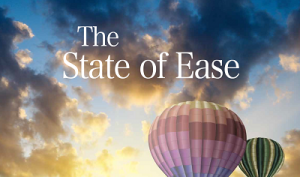 Download a free copy of The State of Ease here. © 2016 This Working Life.